Our Advisory Board members provide generous support, guidance and inspiration. We greatly appreciate the time and effort they donate to BRI. Dr. Donald J. Brightsmith, Ph.D.
Assistant Professor of Ecosystem Health at the Schubot Exotic Bird Health Center at Texas A&M University and the Director of the Tambopata Macaw Project at the Tambopata Research Center in the rain forests of southeastern Peru. 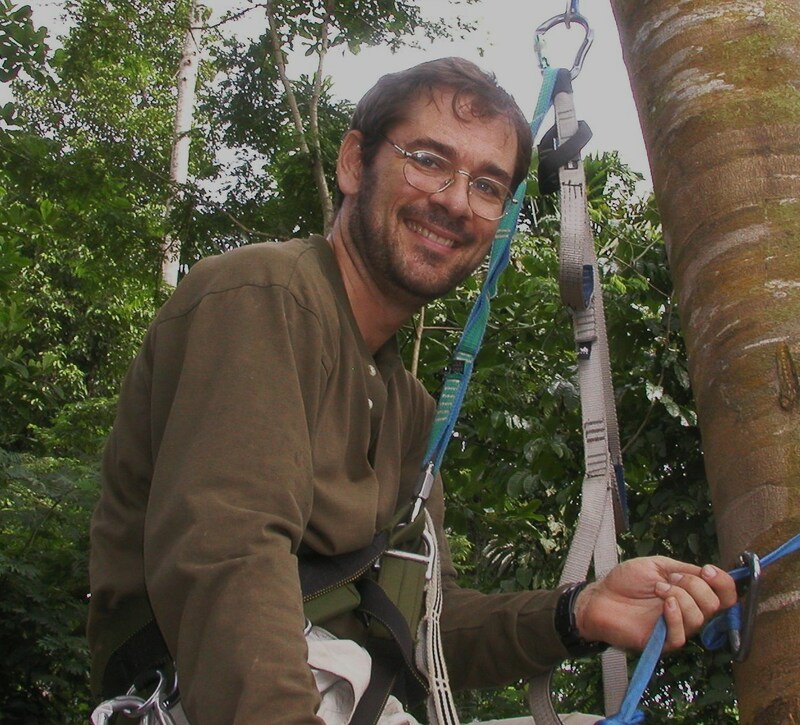 Dr. Brightsmith is a parrot conservation biologist with over 20 years of experience studying wild parrots in Peru and other areas of Latin America. He has degrees from Cornell University (Natural Resources, BS), University of Arizona (Wildlife Ecology, MS) and Duke University (Zoology, PhD). He is a member of the Advisory Board for Parrots International and a co-coordinator for the Neotropical Region of the Parrot Researcher’s Group. He has published scientific articles on a wide variety of parrot related topics including reintroduction, ecology, conservation, reproduction, clay lick use, genetics, behavioral training, and nutrition. Robin Bjork’s professional focus is conservation of wild birds, especially psittacines and other rare and endangered species—developing and coordinating programs that have application to restoration of habitats and populations. She is an independent biological consultant. She holds a doctorate in wildlife science and a master’s degree in coastal ecology. Her past research has focused on documenting spatial patterns of waterbirds and migrant tropical birds with a goal of providing guidance to regional conservation planning. Robin began working with wild psittacines in 1994 when she directed development of the first radio tracking device for large parrots and used it to track the movements of endangered Great Green Macaws in Costa Rica in relation to protected habitat and critical resource evaluations. Her dissertation research identified the migration of Mealy Parrots across Guatemalan lowlands, the first detailed documentation of such a pattern in psittacines. She carried out the first satellite tracking of any psittacine—2 Scarlet Macaws—in Guatemala to document their migration pattern across dangerous landscapes and test the developing technology with colleagues. 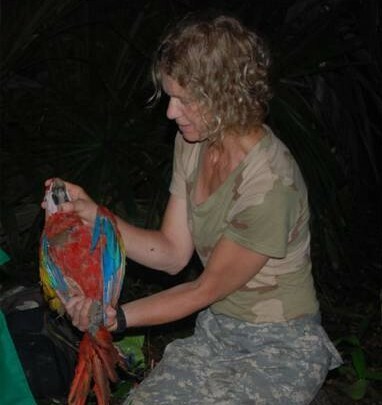 From 2007-2010, she directed a program in El Salvador for parrot conservation focused on Yellow-naped Parrot reproductive success, population trends, threats amelioration and conducted a feasibility analysis for the reintroduction of Scarlet Macaws to the country. Her current Central American work focuses on the capture and satellite tagging of the rare Three-wattled Bellbird in northern montane Honduras in order to identify this populations migratory patterns and key seasonal habitats for protection. She works as Data and GIS Specialist for Trout Unlimited in Idaho toward regional conservation of rare trout species. 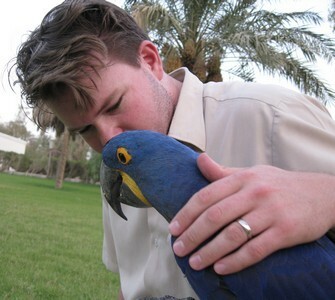 Dr. Mark L. Stafford is the Co-Founder of Parrots International. A dentist with a conservation background — Dr. Stafford received BA degrees in both Environmental Biology and Environmental Studies. Dr. Stafford and his wife, Marie, donate their time and resources to travel into the field to visit and evaluate “in situ” conservation projects. They document their observations through extensive photos and videos of parrots in the wild, which are displayed on the PI site. Consulting Veterinarian, and Owner, Rainforest Clinic for Birds & Exotics, Inc.
Dr. Clubb is a highly recognized Board Certified practitioner of Avian Veterinarian Medicine with over 30 years experience working with all types of birds and exotic animals. Her specialty is psittacine birds (Parrots). This experience has been augmented by working, not only in the United States, but by working with breeders, zoos, conservation organizations, and other avian enthusiasts in Europe, the Middle East, Central and South America, the Caribbean, and Indonesia. Dr. Speer runs a “bird’s only” veterinarian practice in the San Francisco Bay area and is the President and Director of The Medical Center for Birds. He is a consultant for The Veterinary Information Network (Avian Medical Boards) and the Maui Animal Rescue and Sanctuary. In 2003 he was the recipient of the Lafeber award for excellence in private practice of avian medicine and surgery and in 2006, was named Speaker of the Year for the North American Veterinary Conference. Brian is an active member of the Association of Avian Veterinarians (AAV), is a much sought after guest speaker in the international avicultural and zoological communities, and is extensively published. Australian native Ryan Watson is an Ornithologist who has worked on endangered bird projects on four continents. He has staff credentials working at several recognized zoos, and is widely regarded for his work with numerous bird incubation and hand-raising projects. Ryan has worked for the Mauritian Wildlife Foundation, and is now currently based full-time in Brazil as Al Wabra Wildlife Preservation’s Brazil Project Manager.